We are excited to announce the launch of their new programme of equine CPD courses for 2019. 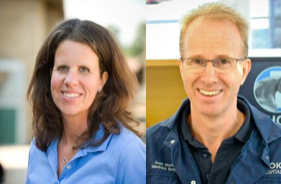 Delivered by Liphook Equine Hospital directors Prof Andy Durham and Dr Jane Boswell, the programme includes both theory and cadaver-based practical courses across a range of topics relevant to the first-opinion practitioner. The programme has been designed to cater for a range of levels of clinical experience: from the recent graduate “Keys to Confidence in..” series, to a one-day “updates” course suitable for those returning to equine practice from a career break. The two cadaver-based practical courses have been designed to allow delegates the chance to get to grips with key clinical skills, such as upper respiratory tract endoscopy and joint blocking. All of the lectures will be professionally filmed and the footage subsequently made available as a video series on vet-ecpd.com. Access to the footage is free for those who attended the course.